My cousin Jackie is having a little girl this month, and our family showered her and her husband Bruce with love at my house on the Saturday before Easter. For the food, I went with a taco bar because 1. Tacos are easy to cook and 2. Who doesn’t love a taco? 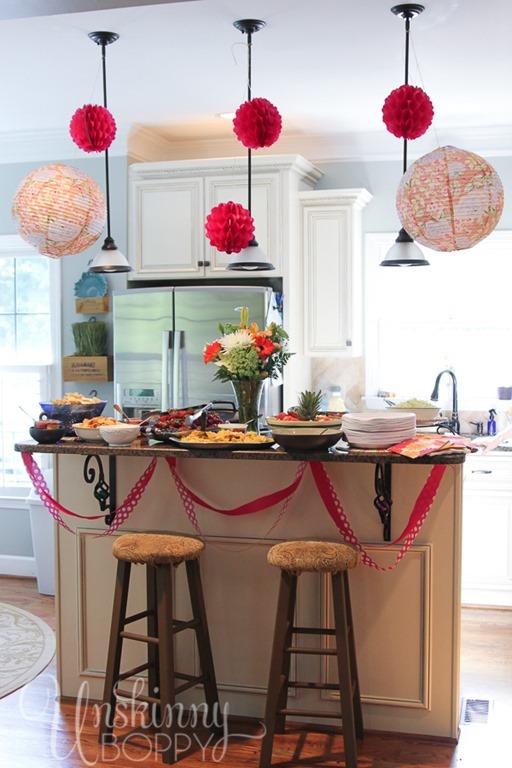 I realized that Cinco de Mayo is right around the corner, so I thought I’d share my ideas for decorating for a fun fiesta! When I throw a party with a taco bar I focus most of my attention on making homemade sides like guacamole and green chili corn cakes. The rest of the food is so simple to make- taco meat and fajita chicken kept warm inside crockpots. Taco shells and flour tortillas with store-bought shredded cheese, diced tomatoes, shredded lettuce and sour cream. 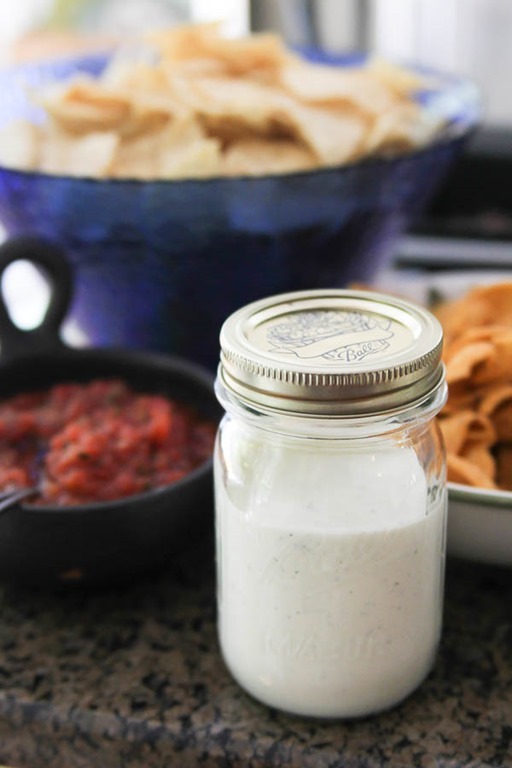 Add some chips, salsa, fruit and cheese dip and you’ve got yourself a FIESTA! I also made Chuy’s copycat Creamy Jalapeno Dip recipe, which everyone loved! 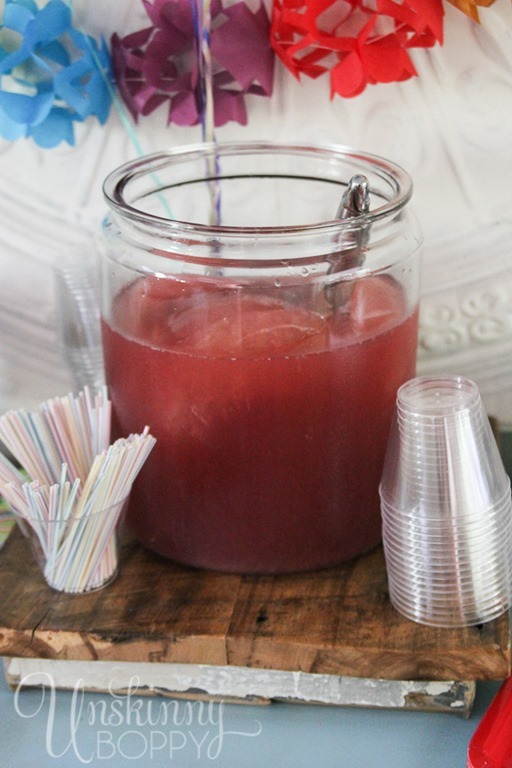 I recreated the raspberry limeade punch recipe, minus the alcohol, for this baby shower. I could drink this stuff by the gallons. Since the shower was the night before Easter, we incorporated some fun Easter themed stuff- like an Easter egg hunt all over my house. We stuffed little baby items such as pacifiers, hairbows, socks, bibs, and even outlet covers inside a whole bunch of Easter eggs and hid them all over the house. All the shower guests hunted eggs, then Jackie got to open them all up and find her gifts inside. 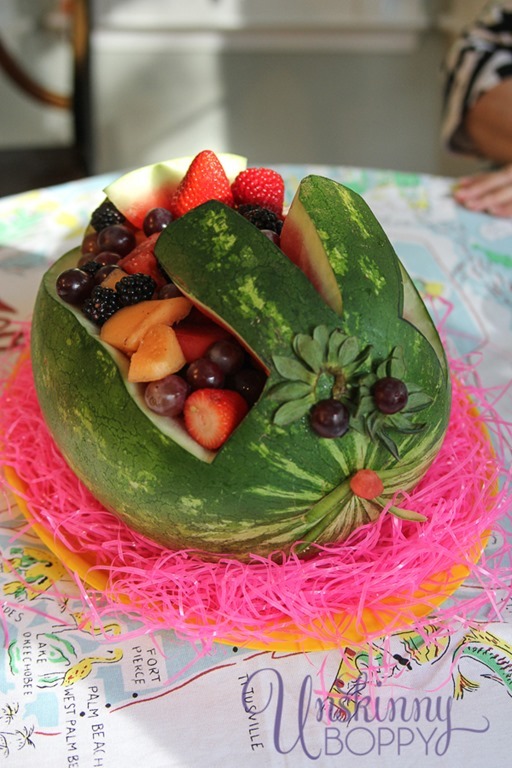 My cousin Patti made this cute bunny rabbit carved from a watermelon and filled with fruit. He was a huge hit! 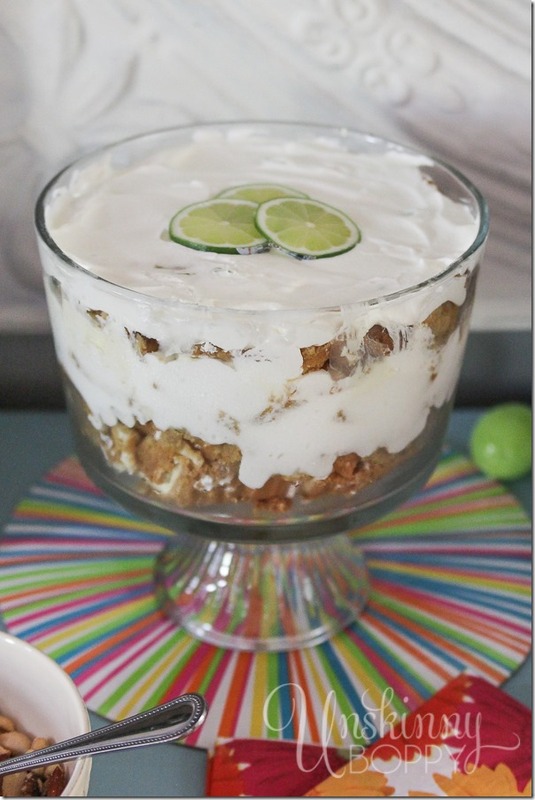 But the one thing everyone raved about was my Key Lime Pie trifle that I made for dessert. Oh y’all. It was sooooooo good. I made up the recipe while standing in the freezer aisle at Publix one day. I saw that pies and cookies were BOGO that week, and a magical idea formed in my brain. But, unlike Jameis Winston and his crab legs I did actually pay for my Publix items even if they were BOGO. Layer all that together and you’ve got yourself the best tasting trifle you’ve ever flopped a lip on! It was DELISH. It was such a fun party! Everyone had a fun time, and of course I had fun decorating for it. 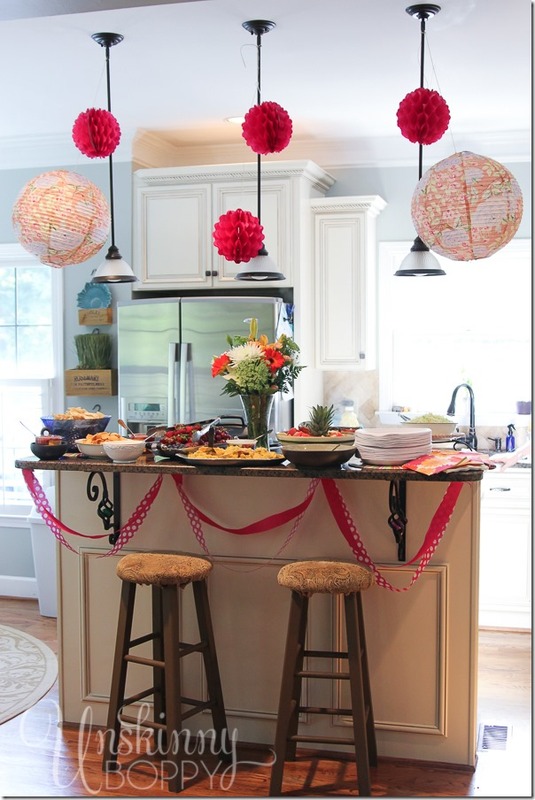 Party planning is one of my biggest guilty pleasures. 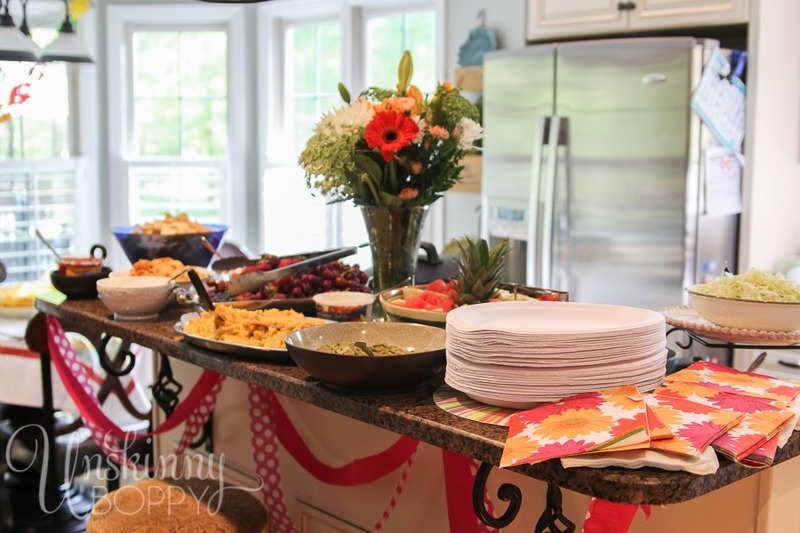 I know that parties are meant to benefit the guest of honor, but I truly love being the hostess with the mostess! One of my most favorite places to shop for CUTE baby shower party supplies and gifts is Swoozie’s. Have y’all heard of Swoozie’s before? They are a southern based chain gift boutique that carries the most awesome party planning stuff ever. Their monogrammed gifts cannot be beat for bridesmaids, weddings or graduations gifts. 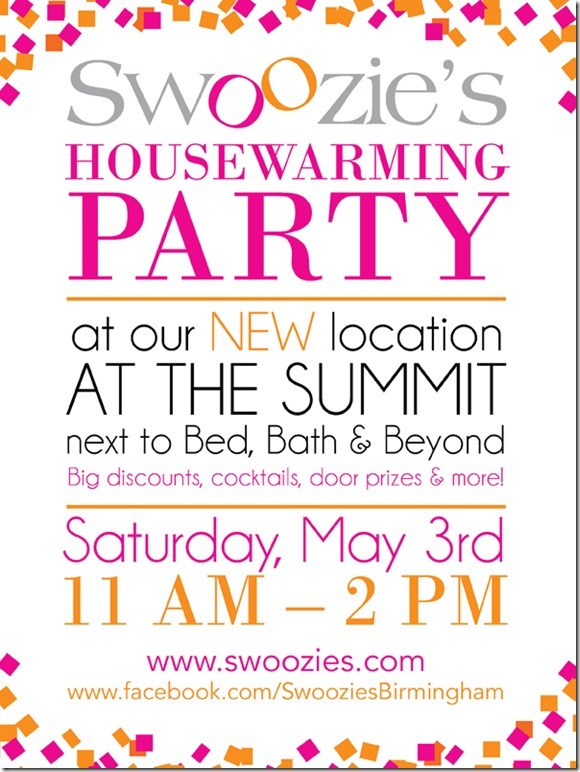 I wanted to let y’all know that Swoozie’s in Birmingham is having a big housewarming party tomorrow at their new location at The Summit. They have moved over by the movie theater, so they are offering up some big discounts and door prizes for this fun event. If you’re looking for some gifts this Cinco De Mayo weekend, head on over there and check them out! And be sure to tell them I sent you! Check out these ChewBeads! 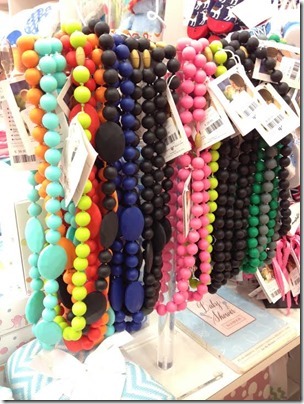 Necklaces that are safe for babies to chew on and cute, to boot! Every mama needs a tote or twelve. 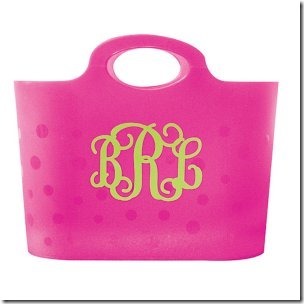 And this cute monogrammed one? Totes McGotes. And finally…. 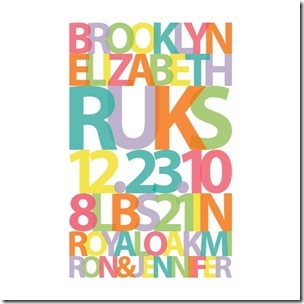 I am in LOVE with this birth announcement typography print! 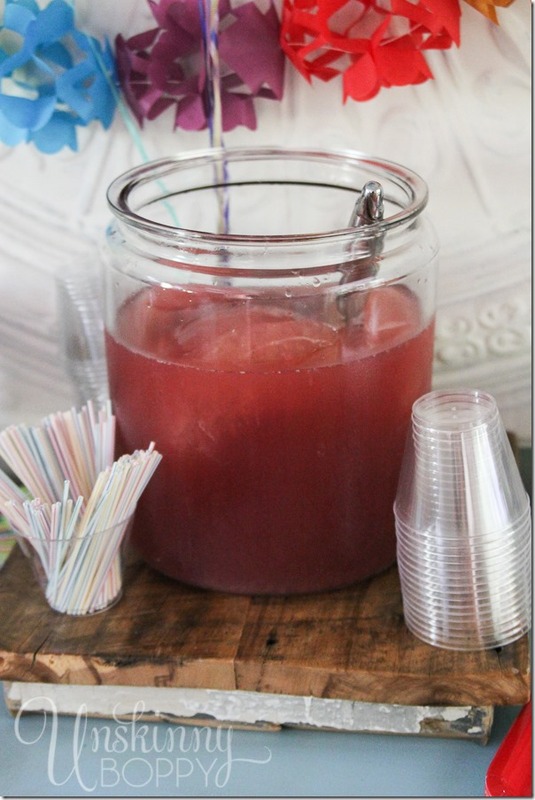 How perfect would this have been for the baby girl fiesta shower? Love it! Hope y’all have a great weekend! Head on over to Swoozie’s at the Summit in Birmingham if you’re local! If you are not local, head on over to your grocery store and buy all the ingredients to drown your sorrows inside of a Key Lime pie trifle ‘o awesomeness. Thanks Rita!! I would love to come to one of your parties. I bet they are FUN! Poor old Jameis. When you get a raging crableg craving you just gotta scratch that itch, huh? Loved this blog. I was never in Swoozies but I think it’s still at our Town Center. 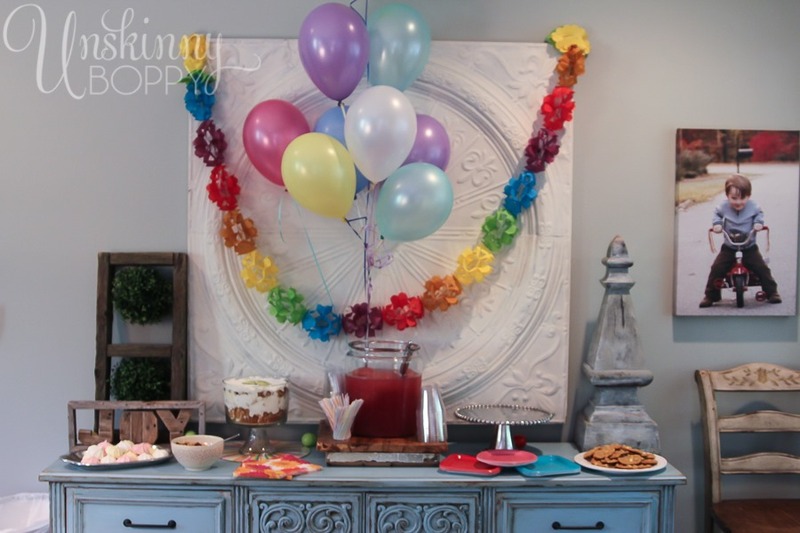 I’m going over and see if I can get ideas for my granddaughter’s Sweet Sixteen Party. Love your mentions of Birmingham, my birthplace, although haven’t lived there in many years. As an FSU fan, we are sick about Jameis. Sad to see a talent like him destroy his future. OH they will have a TON of great stuff for Sweet 16 I bet. They have the cutest party supplies and invites EVER. As for poor old Jameis, well…. he’s a local boy here too, so I will hang my head right there with you. I’ve been looking everywhere for chewbeads!! 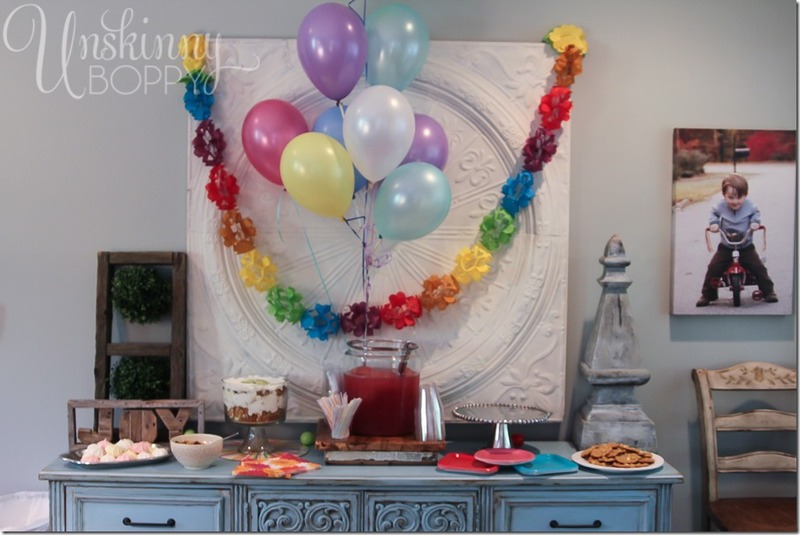 Thanks for the heads up that they are at Swoozies :o) This looks like a fabulous party for an expecting mama!! OH good! Glad I could help you find some! I’d never seen them before but they said they were a best selling item for them. Such a cute idea! Oh man, I wish I had those chew beads when my boys were little-I’ll be giving those as baby shower presents from now on, thanks so much for sharing!! Everything looks fantastic! I know, right? Somebody was a marketing genius with that one. I need the recipe for green chili corn cakes!! Simple! I use a package of this, follow directions but add a small can of green chilis to it. It tastes just like the old Tony Roma’s corn fritter casserole. Even better, EASY! Thanks chica! Wow – great shower ideas and that trifle looks amazing!! Great post! Ah I love visiting The Summit when I’m in Vestavia! Will have to stop by Swoozies for sure. I never thought of making a trifle with a store bought pie but it’s a great idea! So many cute ideas!! That watermelon is adorable & I MUST check out that punch recipe!! YUM!